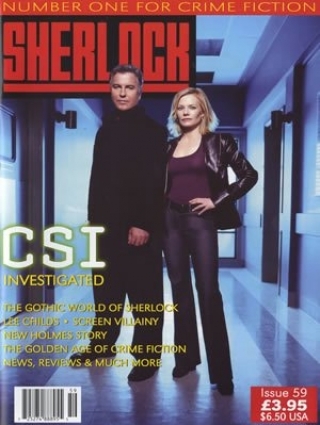 Welcome to a new-look SHERLOCK. New size and a fresher design. We hope you approve. 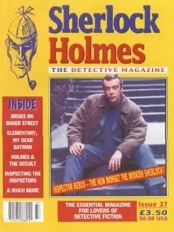 While the look is new, the focus of the magazine remains the same: to keep you informed and entertained by the best of Sherlock Holmes and Crime Fiction. 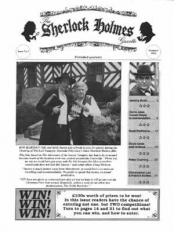 I am delighted that for our first pieces of fiction in the new-look SHERLOCK we have a new and exclusive Holmes story from the douyen oif pastiche writers, June Thomspon. 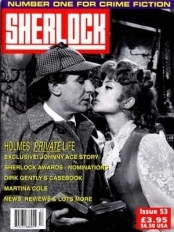 Many fans will know of Junes’ work from her five pastiche collections as well and her award-winning biography of Holmes and Watson. 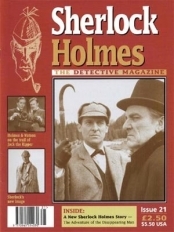 A brief introduction to "The Three Garridebs"
If you liked Issue 59, or indeed if it's not quite what you're looking for, then you might find the following products of interest.